Lucknow is a wonderful city and always been known for its wonderful assets. Be it the legendary poets or the rich cuisine and amazing lip-smacking dishes, Lucknow is always evident in an artistic way. The old buildings in the city dot the entire town and in modern times too, the infrastructure of the city is developing very fast. Those looking for their dream home in the city or want to make a smart real estate investment can go for the latest developments offered by top developers in and around the city. 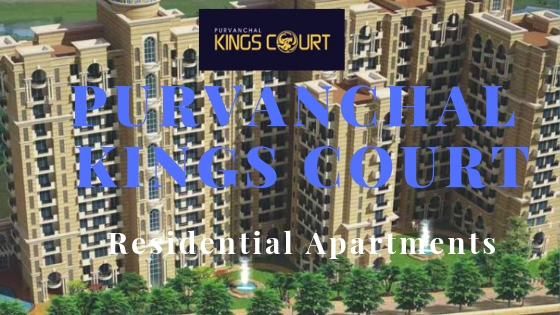 A project that is achieving huge popularity in the city among those who aspired to live a king-sized life unconditionally and that too at world-class standards is Purvanchal Kings Court. The brilliant project is located in Gomti Nagar and offering the best of everything. The gated complex offers thoughtfully designed 3 and 4 BHK apartments spanning varying sizes and configurations. The whole complex is surrounded with greenery and landscaped gardens to make you feel living amidst nature. The floor planning of these homes is thoughtfully done to ensure the privacy and security of the residents. At the same time, the wide open balconies and large windows at these apartments allow natural light and air to come inside and circulate thoroughly. All the apartments are designed in a way that it overlooks the central greens to keep you close to nature. The interiors at these homes are done with sleek finish and smart fixtures to match your class and standard. 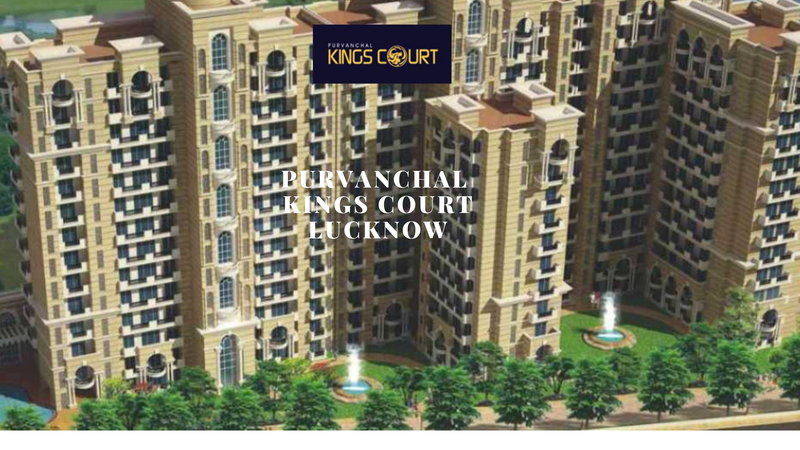 Purvachal Kings Court Lucknow is an ultimate project that will let you enjoy life in King Style. With attractive elevation and colossal construction, the development attracts everyone to its beauty and entices a feeling of reality. The architecture of this property is actually meant exclusively for the elites. The gated complex is secured 24x7 and loaded with grand features. There are several recreations, socializing, relaxation, enjoyment and health and fitness amenities to keep the residents indulged. This includes meditation area, swimming pool, kids’ play areas, gym, open spaces, gardens and much more. 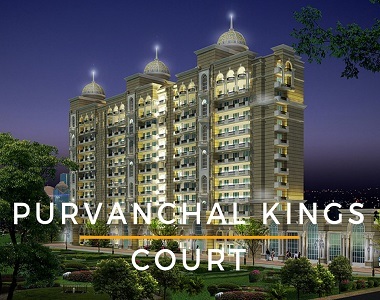 With all such grand facilities and facilities, Purvanchal Kings Court Vinamra Khand is a heaven indeed. The location of the project is strategic and comes in close vicinity to all the basic and emergency landmarks in and around the city to make your living happier and comfortable. This is an ultimate investment option for those looking for a grand life. Purvanchal Kings Court price for the luxurious homes starts from Rs. 1.14 crores onwards that vary further according to the size and configurations. So, if you wish to experience a high-style life, then step ahead to make a smarter decision.